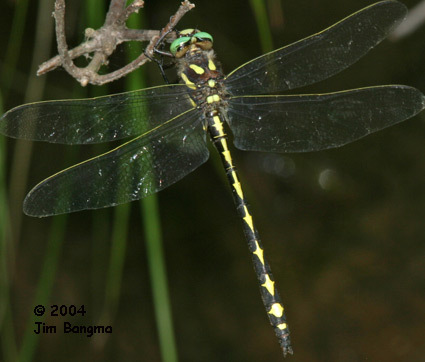 Found patrolling slowly along small, usually muddy, trickles and streams. 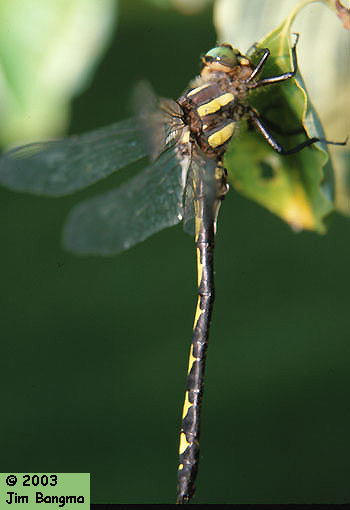 Blackish, with green eyes, yellow thoracic stripes and a single row of arrowhead shaped yellow spots down the top of the abdomen. 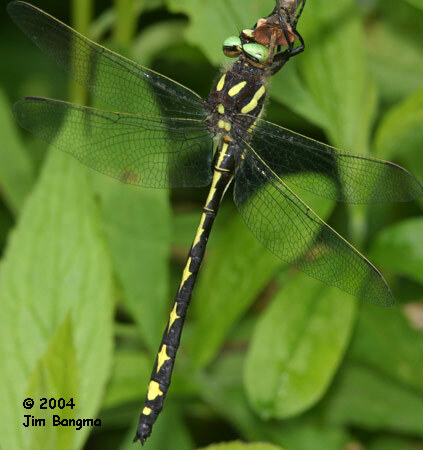 Delta-spotted Spiketail and Twin-Spotted Spiketail have paired dorsal spots. 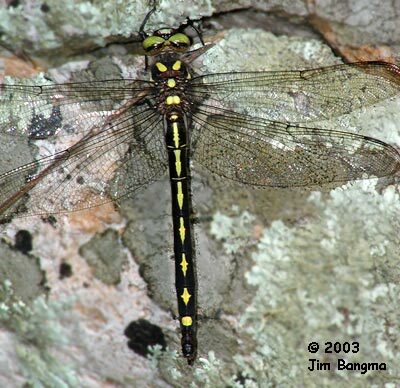 'Georgia' River Cruiser has a single lateral thoracic strip and does not normally occur in the NJ range of Arrowhead Spiketail.